Our family carefully chose to make West Melbourne home. Its location is perfect. The schools are excellent. It's inland enough to reduce the worries of oceanside living, close to the airport, convenient for shopping, and easy to get to the amazing places in Brevard County. It's also very near our work places. West Melbourne is a strong and proud central Florida community supporting the core industries of the Space Coast. If you have any city issues that you'd like to discuss, please email me at dbatcheldor@westmelbourne.org or write to PO BOX 120391, West Melbourne, FL 32912. Life should be about compromising, carefully navigating sensitive grey areas, being prepared to learn new things, and changing our minds when the evidence demands it. Life should not be about us versus them, purposeful ignorance, turning a blind eye, or greed. We all recognize that some people are doing well and that some need some help. We will all go through good times and bad. In every case, we should support each other as friends, neighbors, colleagues, and members of the City of West Melbourne community. The West Melbourne City Council should support our community, grow our community, and promote our community. The Council should be transparent, sensitive, objective, courageous, and fair. As a City Council member, these will always be my priorities. West Melbourne 2019 Adopted Budget, Agenda Item 5(A)1,2. Our heroes in blue do a tremendous job. We are excitedly waiting the completion of the much-needed police station expansion and for the purchase of new SUVs. We are deeply grateful to our much needed School Resource Officers (SROs), but our current State legislators have failed us with school security. The Brevard County School Board has failed us with school security. It was left to the courage of the City Council to solve the West Melbourne SRO problem. We must continue to support our West Melbourne SROs who have already shown what an amazing job they do, and what a vital service to our community they provide. We live in Florida. Hurricanes happen and we must be as prepared as possible when they do. Hurricane preparedness is a year-round activity. The City Council should help people get prepared early and stay prepared for as long as necessary. We must give ourselves every opportunity to be proactive rather than reactive about hurricanes. We must particularly care for the families of our emergency services workers who brave the conditions regardless of severity. At the most critical and stressful moments, many homes are missing key family members and don't know if they are safe. 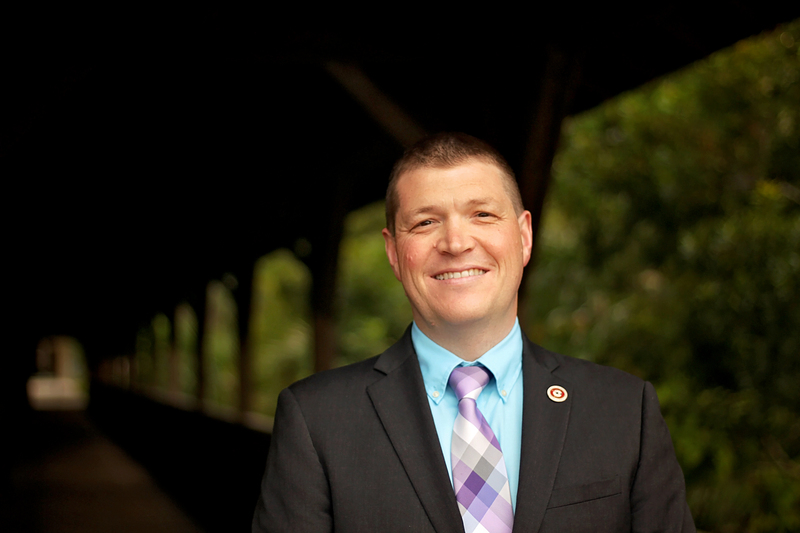 The City Council should ensure that the families of our emergency responders have the support they need to ride out the worst of it with as little stress as possible. We must help those who cannot help themselves, especially with putting up their own hurricane shutters. We must make sure that every home has a safe escape route in case of fire once a hurricane has passed (some shutters must come down so window escapes are available if necessary). As for leaving those shutters up after the hurricane, that is a grey area: While there will always be another hurricane on the horizon, neighbors may tire of looking at your shutters and you'll no doubt have to deal with your own HOA because of them. West Melbourne has, and must maintain, great schools. Schools are where our children get many of the skills and knowledge they need to live happy and successful lives. And as children are our future, we must take this responsibility very seriously. We cannot have great schools without great teachers. But, if we don't show teachers the respect they deserve and give them the support they need, how can they possibly perform at their full potential and provide the high-quality education our children deserve? It is no secret that our schools face funding issues at the county and state level, so strong leadership at the city level is essential. We have seen this type of decisive action with regards to the City support of our SROs. We must work to continue the momentum from the positive SRO decisions and look to directly incentivize the absolute best West Melbourne teachers in terms of both recruitment and retention. West Melbourne residents should not have to worry about their homes flooding, their roads crumbling, and their power failing. Blocked drainage canals, pot-holed roads, and near collapsed electricity poles are unacceptable. We have witnessed West Melbourne neighborhoods flooding, had our bones rattled on our roads, and I have watched a West Melbourne electrical transformer explode on a perfectly fine April morning. We must make sure these essential infrastructure items get the appropriate funding. Canal maintenance should be a top priority, we should work to keep the roads smooth, and modernize our power grid. These are both short term (drainage) and long term (roads, power) problems. All are issues that need to be continually addressed. City planning should be taken very seriously and we should hold contractors to high moral, environmental, and building standards. West Melbourne is in the midst of a huge building boom. However, it is clear that some builders and contractors are cutting significant corners to maximize their profits at the expense of West Melbourne residents. Many subdivisions have experienced the heartbreak of homes needing significant repairs, which could have been avoided if some builders had shown more respect their customers. We have some truly amazing local homebuilders in Brevard County, but the big national builders have obviously disrespected many West Melbourne residents. We must hold these builders accountable and carefully assess how permits are issued to these national corporations. West Melbourne is a prime location for businesses. There is easy access from I95, and we are the corridor to Downtown Melbourne and beachside. Local businesses support our community with jobs and quality services. We must carefully consider how to retain our excellent local businesses, attract new ones, and support strategic development that has a minimal impact on our residents’ quality of life. Nature is inspiring. We should give ourselves every opportunity to enjoy what nature has to offer within our city limits. This is especially important for our children. Our city plans to continue annexation of new spaces, but the protection of current green spaces is unclear. Six of the seven West Melbourne parks are small, mostly tucked away, and very limited in scope. The truly amazing seventh West Melbourne Community Park (Field of Dreams) is a growing gem and it will be a focus of the community now that construction is complete. However, it is a heavily engineered environment and lacks the kind of natural features that tie us to our ancestry. I will continue to keep our sights on regions within West Melbourne where our residents can enjoy the quiet wooded surroundings classic to central Florida. A clean, efficient, and sustainable community comes about through intensive team work and a clear consciousness of our impact on our environment. The City Council must work closely with other municipalities, the county, and the state to implement methods for improving our environment and increasing the quality of life for all residents. Clear advice on recycling best practices, help for those looking to limit the impact of their home (and lifestyle) on the environment, and provisions to support the use of modern energy sources, are all fundamental drivers for the decisions we must make as a City Council. 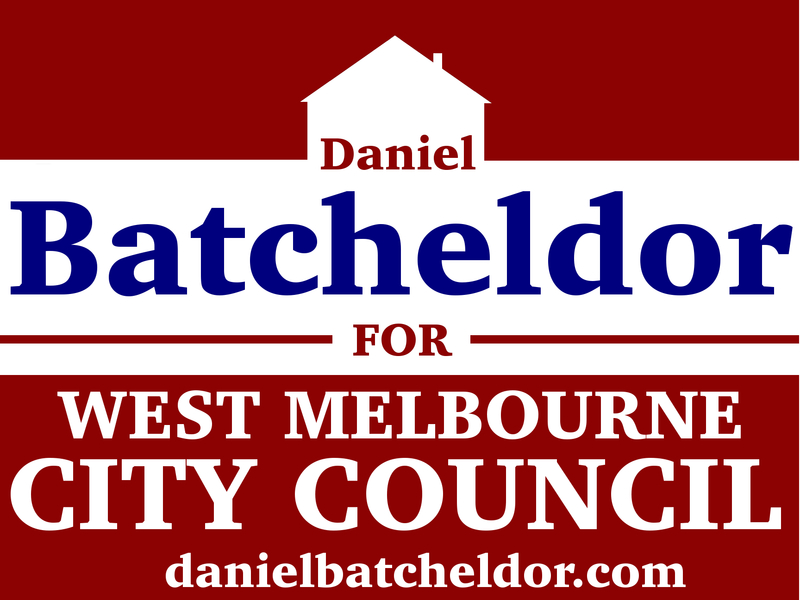 If you have any city issues that you'd like to discuss, please email me at dbatcheldor@westmelbourne.com or write to PO BOX 120391, West Melbourne, FL 32912. Theme by HTML5Up and Somiibo.